:A beautifully crafted story breathes life into the cameo character from the classic novel A Tale of Two Cities. On a tranquil farm nestled in the French countryside, two orphaned cousins-Renée and Laurette-have been raised under the caring guardianship of young Émile Gagnon, the last of a once-prosperous family. No longer starving girls, Laurette and Renée now spend days tending Gagnon's sheep, and nights in their cozy loft, whispering secrets and dreams in this time of waning innocence and peace. In one night, the best and worst of fate collide. 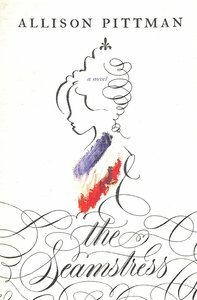 A chance encounter with a fashionable woman will bring Renée's sewing skills to light and secure a place in the court of Queen Marie Antoinette. An act of reckless passion will throw Laurette into the arms of the increasingly militant Marcel. And Gagnon, steadfast in his faith in God and country, can only watch as those he loves march straight into the heart of the revolution.